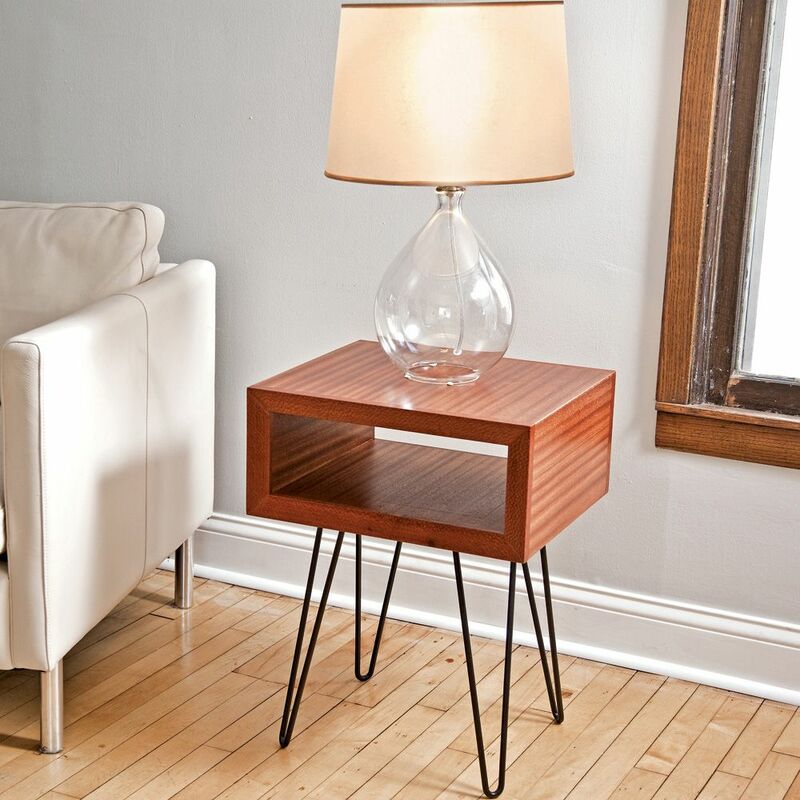 Fans of mid-century modern furniture will be pleased with the authentic look of our hairpin legs. 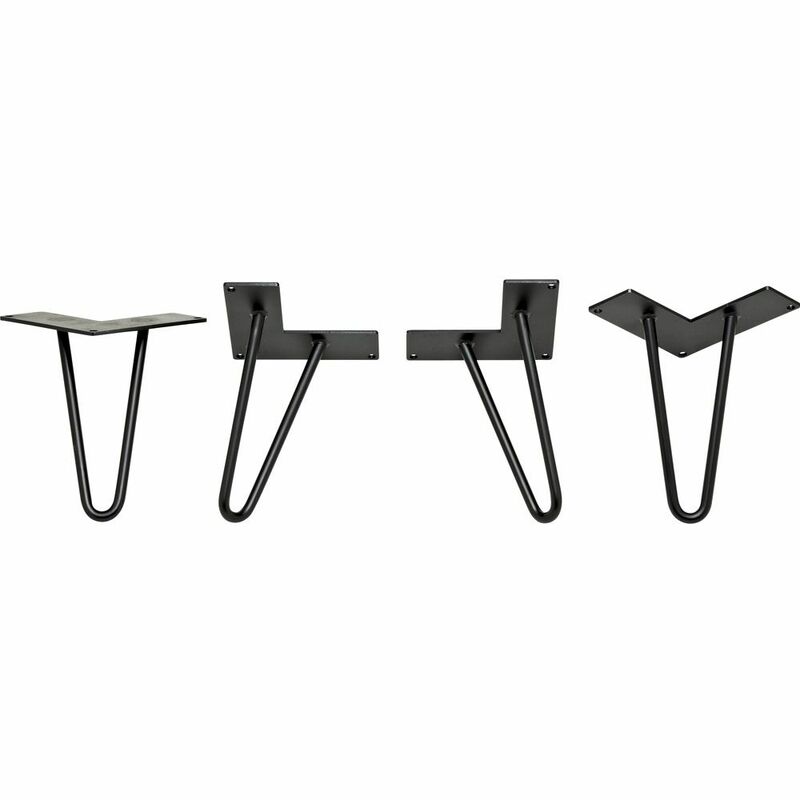 Sleek and simple in design, hairpin legs allow you to make a functional, stylish table out of nearly anything. 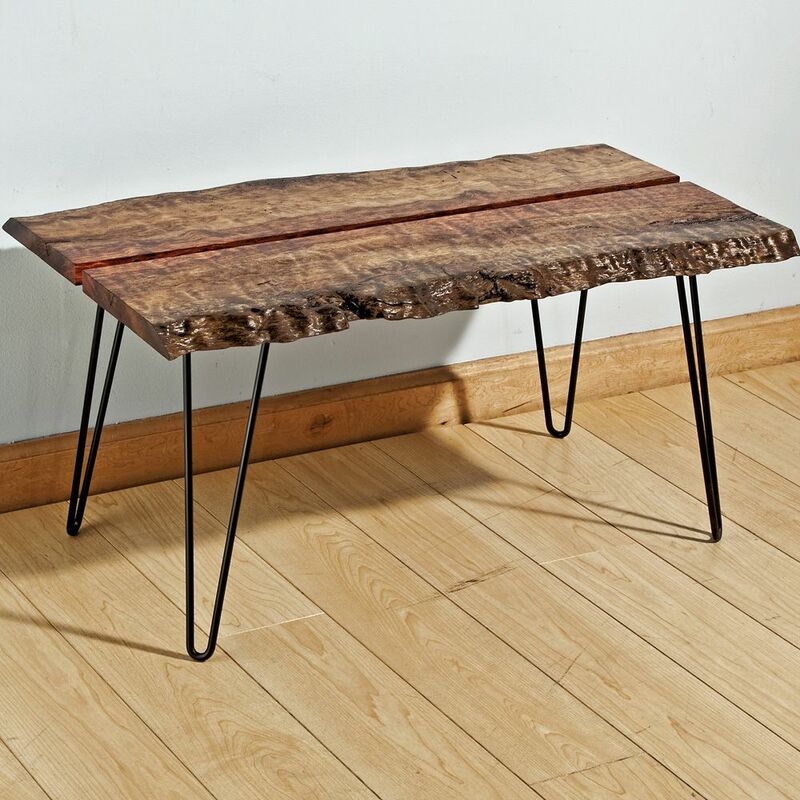 Showcase your most prized slab of lumber atop the taller legs, or support a beautiful cabinet on the shorter legs. 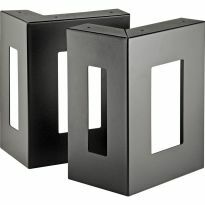 The legs come with a matte black finish, and can be painted to match any decor. 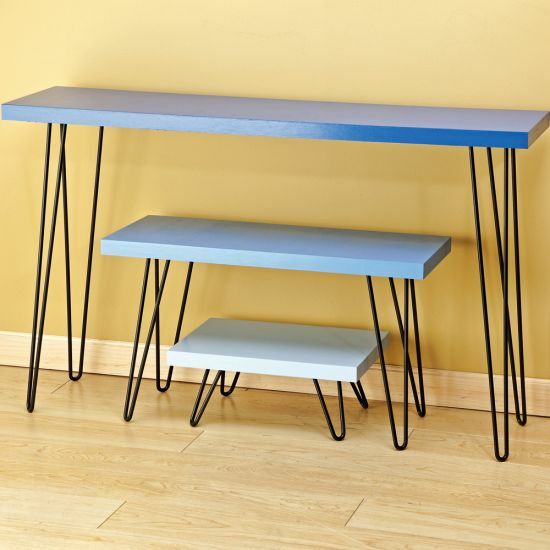 28" Hairpin Legs work well for entry tables, sofa tables and other occasional tables. 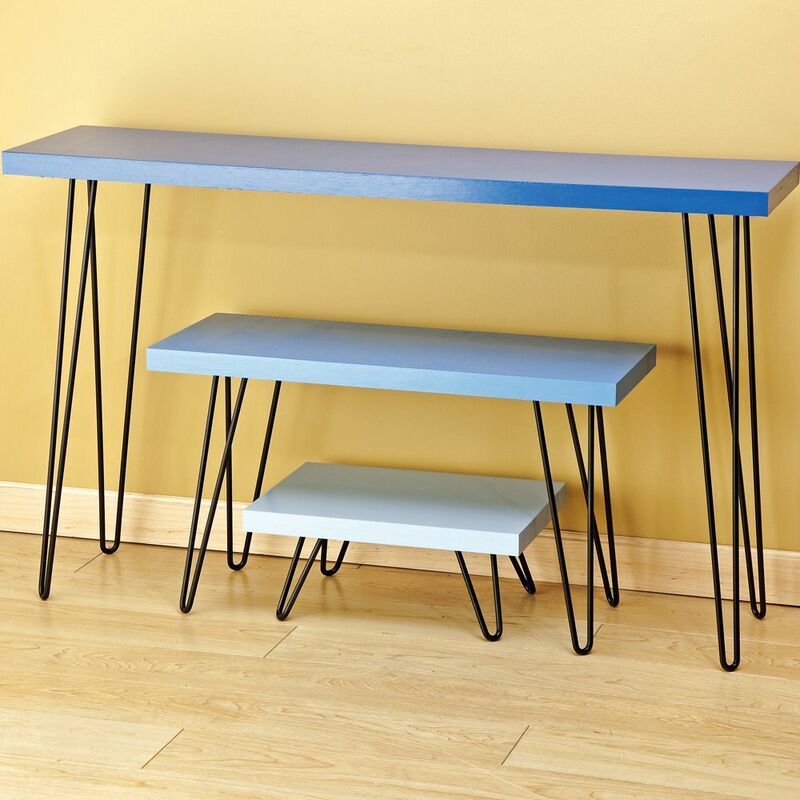 16" Hairpin Legs can be used for coffee tables, media consoles, or they can becombined with a small cabinet for end tables. 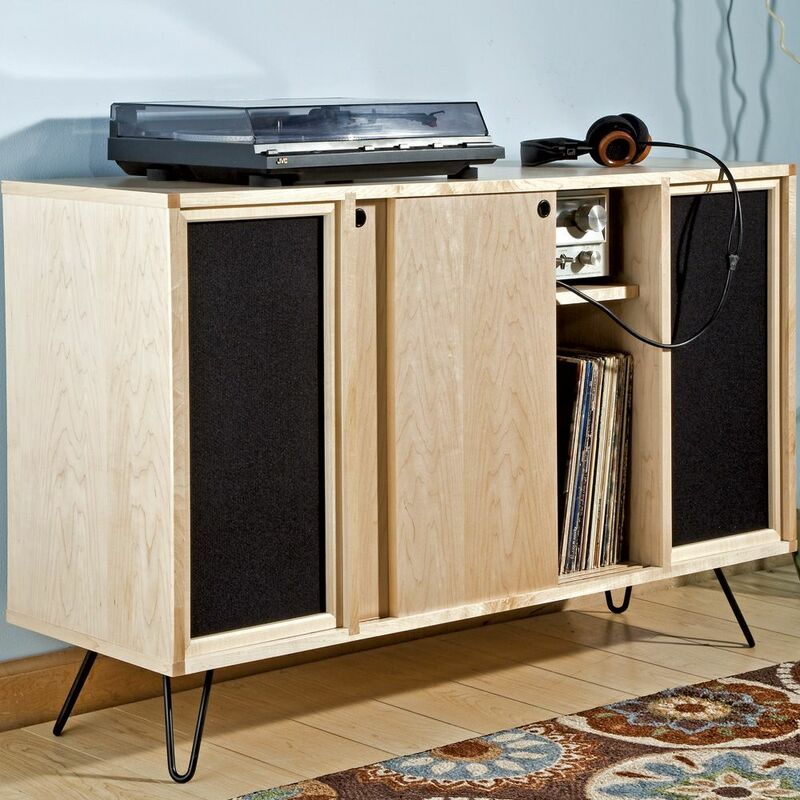 The 6" Hairpin Legs are ideal as feet for light cabinet cases. Mounting plate measurement: 4-3/4" x 4-3/4"
Very nice legs, easy to attach. Sleek looking too. Easy to install and a clean look! Looks great with wood table! These table legs are very solid. They are a great choice when you need a clean solution that does not take anything away from the tabletop. Look great and super easy to install. 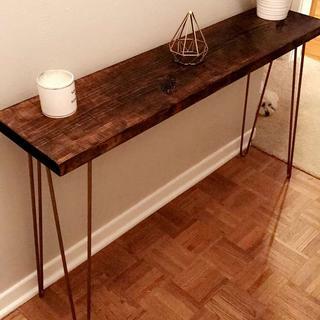 I found these legs to be exactly what I was looking for, the tall legs I used them on an old table that I had removed from our Travel trailer and they worked great. 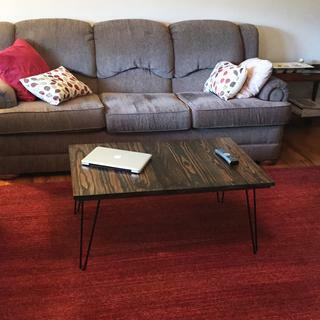 I the short ones that I purchased, I made a coffee table out of two boards that I already had and they worked great!! I loce these leg! Reasonably priced and simple installation. 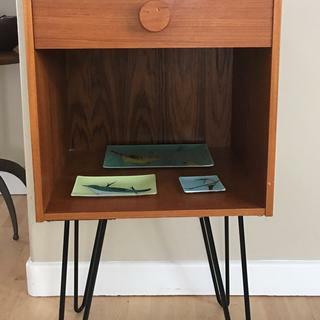 Mid century teak side table enhanced with pin legs to be more useable. 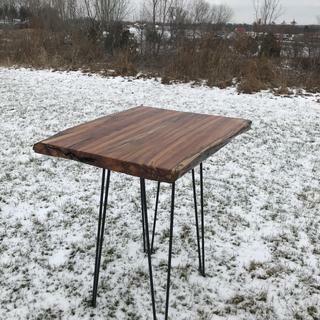 Great easy solution for any table project. These furniture legs are elegant and well constructed. Found a cool piece of wood? 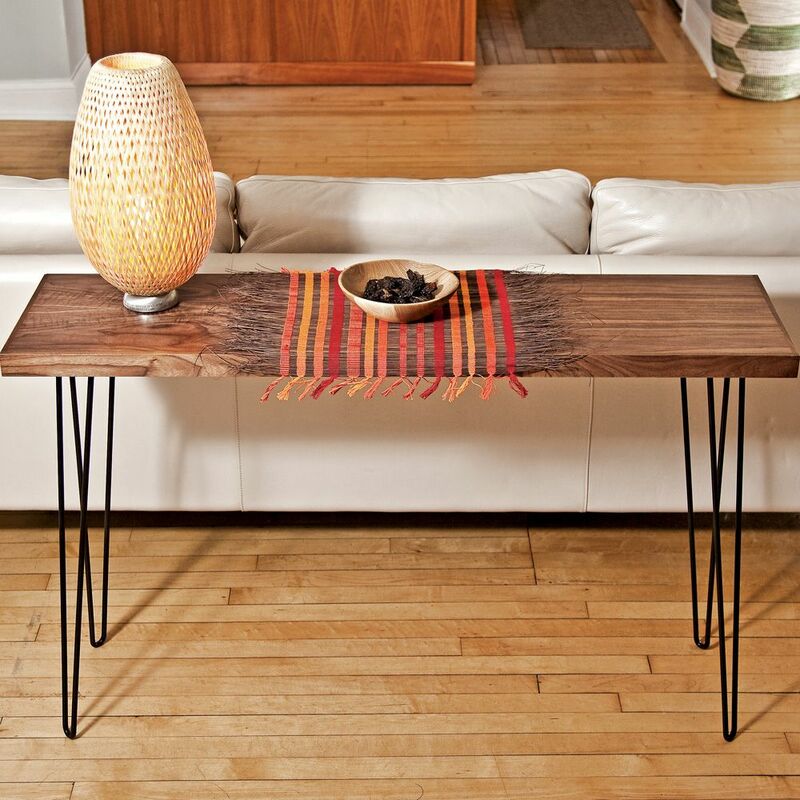 These legs will help create a cool table with minimal effort. Well worth the $. Took no time at all to make the media center counter height. New in-house coffee bar open for business. Better than expected! Great legs with a tough and beautiful finish. Legs look nice on my shelving unit. 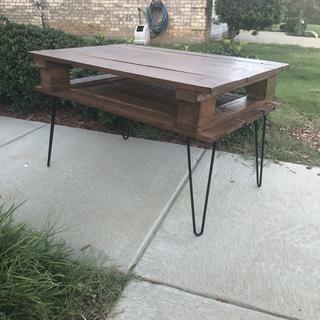 I made a coffee table from recycled pallet wood. Very sturdy. Looks awesome and the legs were a breeze to install! 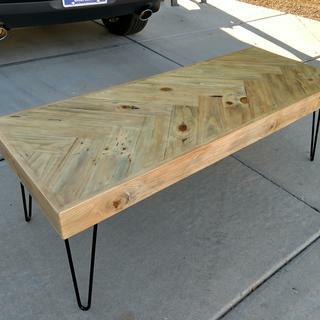 Coffee table made from recycled pallet wood. These legs were exactly what I was looking for. It would be nice if they were offered in additional colors/finishes, but regardless I'm very happy with them. The new hairpin table legs worked just great. Helped make the project look professional. Thank you for a great product. A great look and easy to install. These look good right out of the box and are easy to install. I used these for legs on a coffee table. By using these I saved a lot of time and trouble making my own legs from wood and building a frame for attaching to the coffee table. I think these legs are better looking than anything I could build. 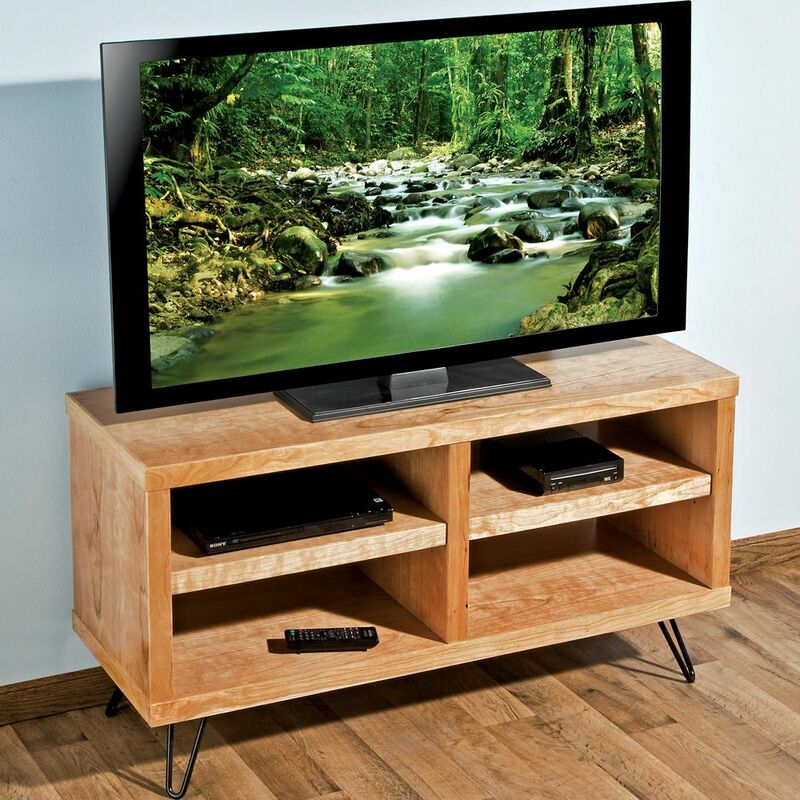 Reasonably priced legs, very stylish , easy to install and every. Body loves it. For my daughters dorm room. Quick and very easy! 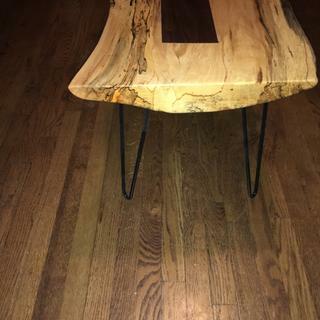 These legs worked great to finish out my natural edge, slab coffee table. 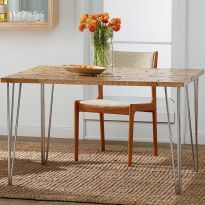 Great legs for a quick table--the work is in the table part, not the legs. In this table I used just three of the legs. Worked out great. 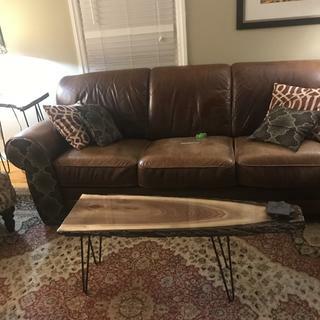 Walnut Table with three hairpin legs. Product as described. High quality, durable construction. Great design. Great legs, very stable. I got the 16" and its pretty tall, its a good height for using your table to eat on while sitting on the couch. I would recommend the 12" for normal height that way the table doesnt get in the way of the tv. 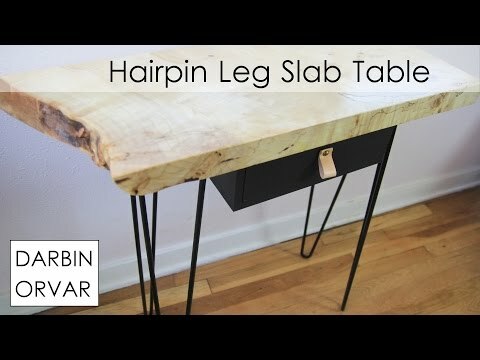 hair pin table legs look great! easy to install!!!! 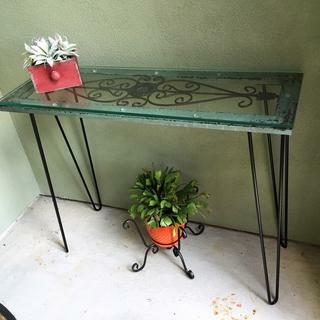 Needed a table at outside entry foyer. 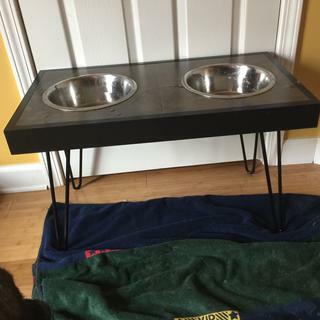 I used one set (medium) to make a coffee table, and a smaller set for a serving tray. Great set of legs. Well worth the money. I love these! Have used them twice and love the results! Nice quality product. These legs work well with this size table. 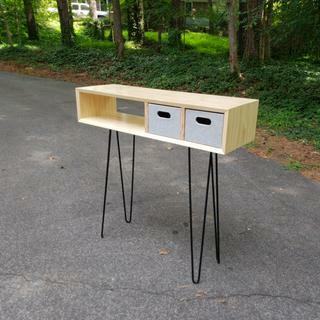 Entrance table. 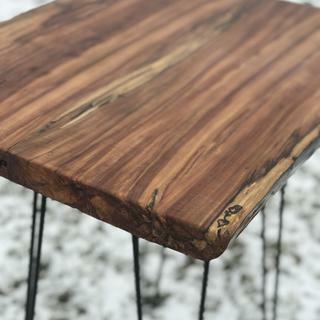 Love these legs, they go well with this walnut table I made. 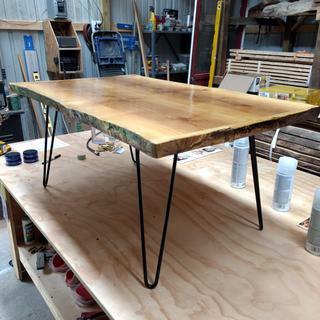 I use hairpin table legs for coffee tables that I have made. 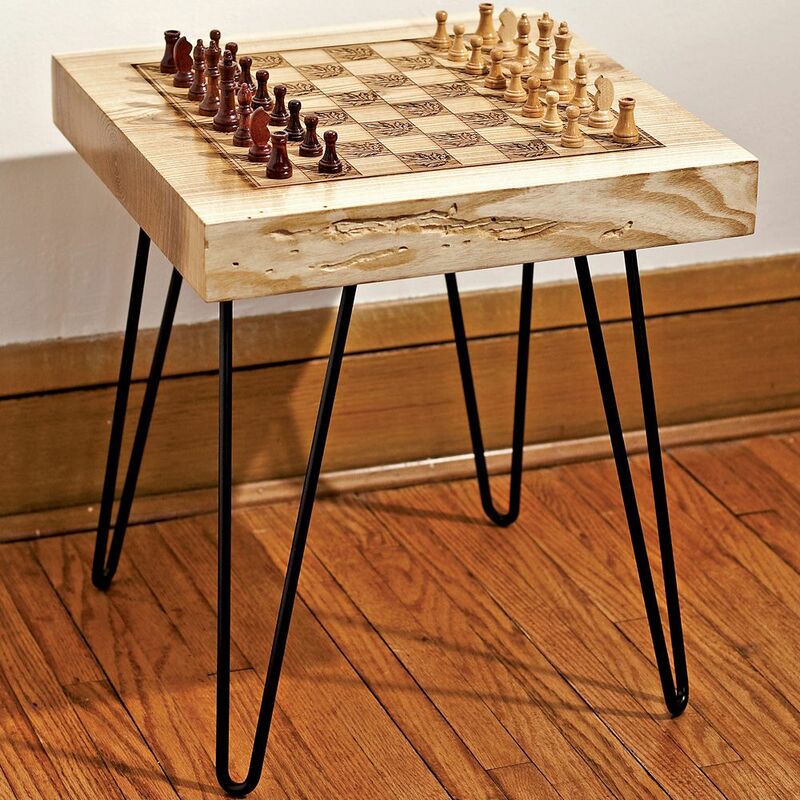 I wanted a leg that did not take away from the appearance of the tabletop. These are sturdy legs that I can count on. 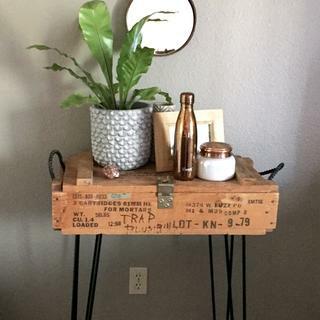 Added Hairpin legs to a small crate to make an end table. Easy to install legs turned out great! Great product, great packing, great delivery.I recommend. Very sturdy and easy to install. Will be ordering 2 more sets for my end tables. 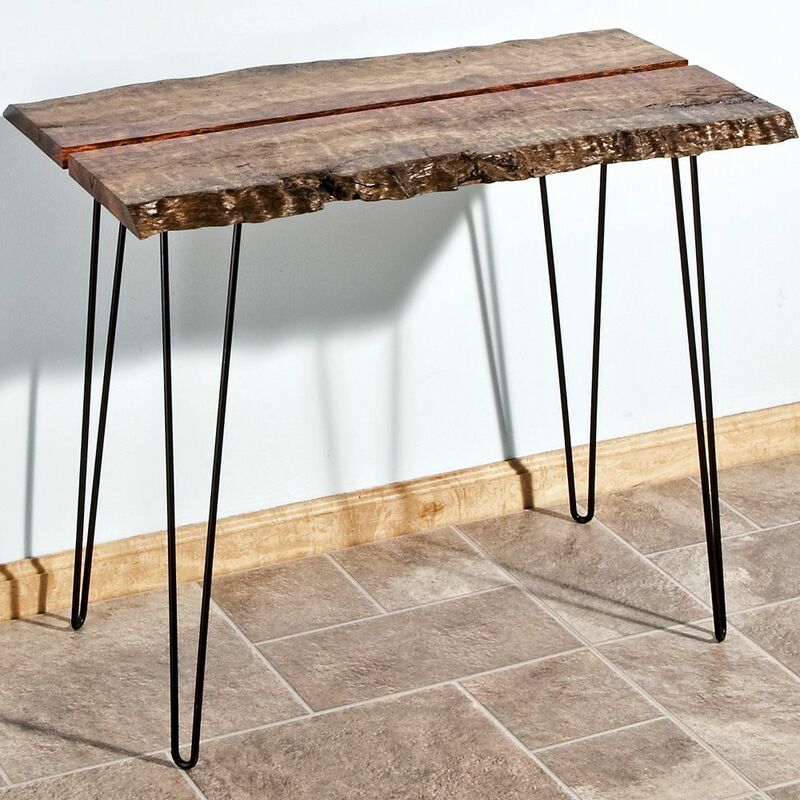 Great experience legs look excellent under a live edge console table. Have used them twice. Works. Simple install. Legs came very well packed to protect their finish. 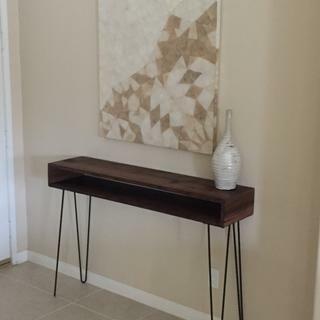 Their simple design goes perfectly with the mid-century modern end tables I built. Very pleased. 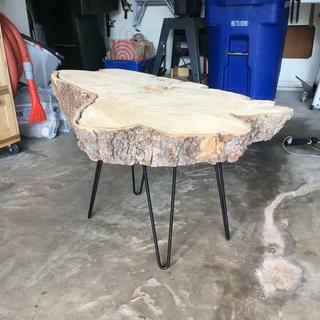 I made a side table out of a wood stump. It is 12" high and 24" diameter. It weighs 60lbs. 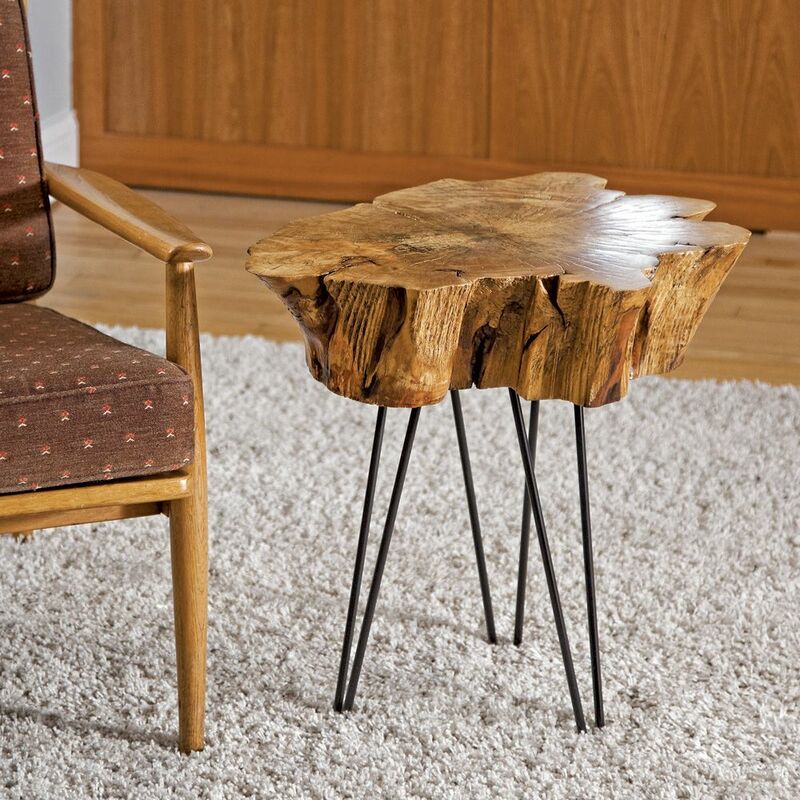 The are the perfect legs for my side table. The 6" hairpin is hard to find. Works for my purpose and looks cool. good price... and needed for project. 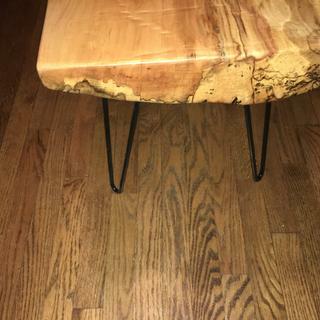 I have made several coffee tables with these legs and plan on making more. 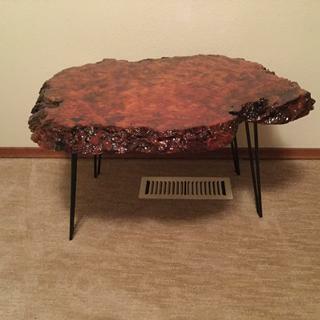 They work really great with slab tables. The contemporary look works great for the bench I’m making. 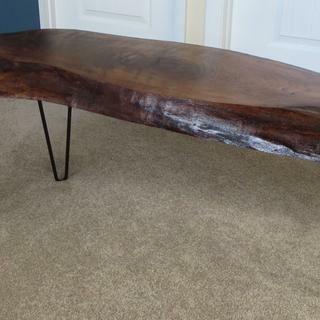 Changing the look of an old coffee table by recycling the existing top. I've used the larger hairpin legs and really liked them, hopefully these will be the same..
For legs on a coffee table. fits in with the style and decor of my basement. I like the look of these legs. I have a table with a large drawer that I am going to use with these legs to make a coffee table. Good quality and I purchased a set previously. I ordered hairpin legs from you before and was very satisfied with them. 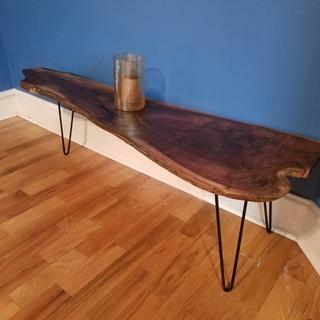 I need a table to fill in a corner space and the set of Hairpin Table legs allows me to make one to fit. Because they are really cool and will look absolutely marvelous with my natural wood tabletop. 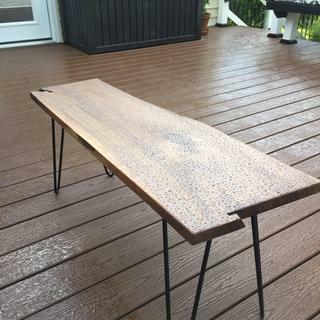 built a wormie soft maple table top and the hairpin leg would be a beautiful fit to my design. I like the style and at a good price. 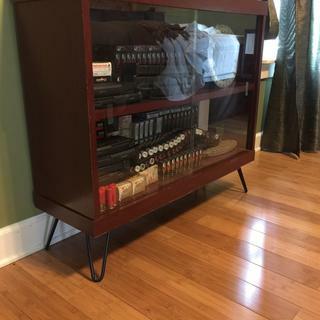 I'm going to use the legs on my Father-n-laws old Navy chest to make a coffee table. Building coffee table for our home. Will work for a new project for Sons new house. Legs for a coffee table. Wanted finished legs rather than raw metal and these are priced right. how much weight can these 16 inch legs hold? 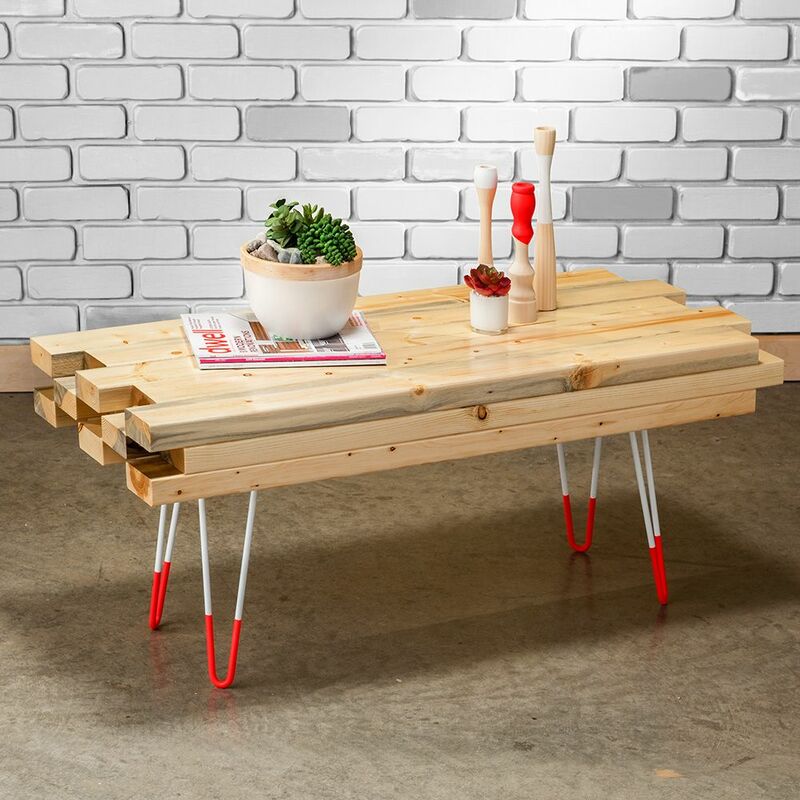 Are there plastic non-scratch feet available for these hairpin legs? BEST ANSWER: You could also try PlastiDip. Either match the color so it blends in or a contrasting color for some eye catching pop. i would look into "shrink tube" for electrical wiring. cut an edge and slide it onto the leg and use a hair dryer on them. I have found a few on Easy and Amazon. I'm pretty sure someone just 3D printed them. Simple small felt pads work well. I have not had any problems with scratching. what are the weight limits? I used them as legs for metal and glass tables ... probably about 30-45 lbs. I think they could be used to hold much heavier items. Are mounting cleats needed for 16 inch legs? Are the legs angled or up-and-down? We're building an entertainment center for a 54" flat screen that will sit on it. Will the 6" legs support the weight? BEST ANSWER: Earlier I wrote that these hairpins will support your flat screen if you use appropriate screws. 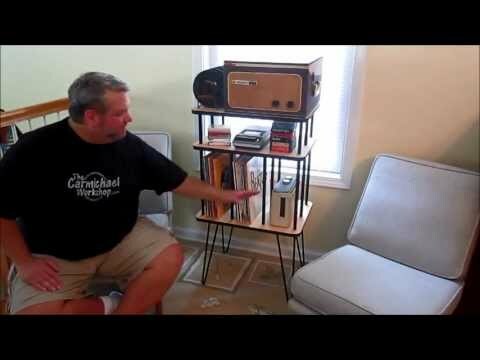 However, I assumed a very simple shelf with the flat screen on top. I would reconsider if the entertainment center you plan on building is going to be heavier than 150 lbs. (the flat screen + the weight of the structure + weight of other items you intend on placing within the structure). You might be better off with short legs that are vertical as opposed to the angled configuration of the hairpins. The legs are made of solid steel bar stock - so they will be adequate for a flat screen. Be sure to install proper fasteners though. Yes, we used these for a heavy butcher block table. Do you have 30 in hairpin legs, black? Bought the 28 " legs. Very sturdy,solid metal,black powder coat. They are best quality. 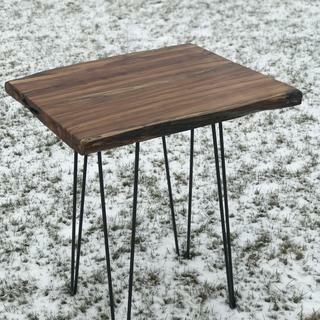 I used them on a slab of Walnut and made a very nice modern table. how heavy can a hairpin leg carry? Hello. 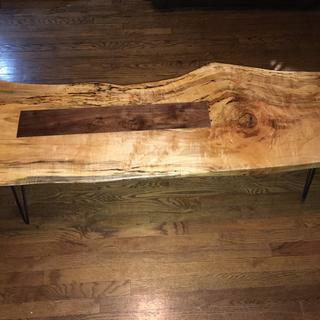 My girlfriend and I were looking to make this bench (http://www.brit.co/wood-and-wool-bench/). It calls for a Set of Four (4) 16? High, 3/8? Diameter Rods with Screws. My primary question - do you think these hairpin legs could support the weight of multiple people? 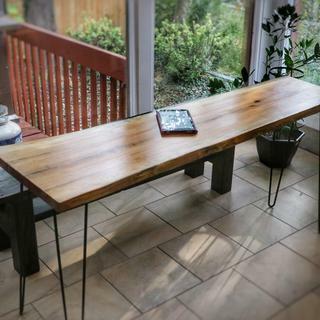 We are looking to use this bench on each side of our kitchen table. BEST ANSWER: I don't believe they would be heavy enough for a bench for people. They are not really designed for heavy weight-bearing applications. 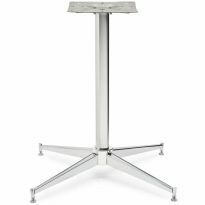 They work great as small table legs for lighter weight applications. 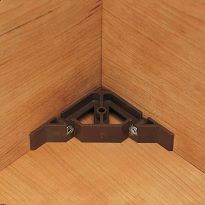 Do you have a recommendation on what time of bolts we use to secure these so they are the most stable? I think they would work. They're very strong and sturdy. I would probably be more worried about the wood holding up! We've been very pleased with ours. Do these legs fold up? BEST ANSWER: No. They are permanently attached by 4 screwa/bolts/etc.through a flat angle plate on each leg. They do not fold up. These are great legs. They are very easy to put on and look good too. No, they do not fold. 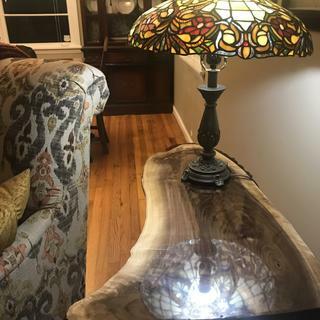 I have a glass top I want to uses as a coffee table. Can I just place them under the glass with some rubber to hold it? BEST ANSWER: Hi Cathy, Good question. 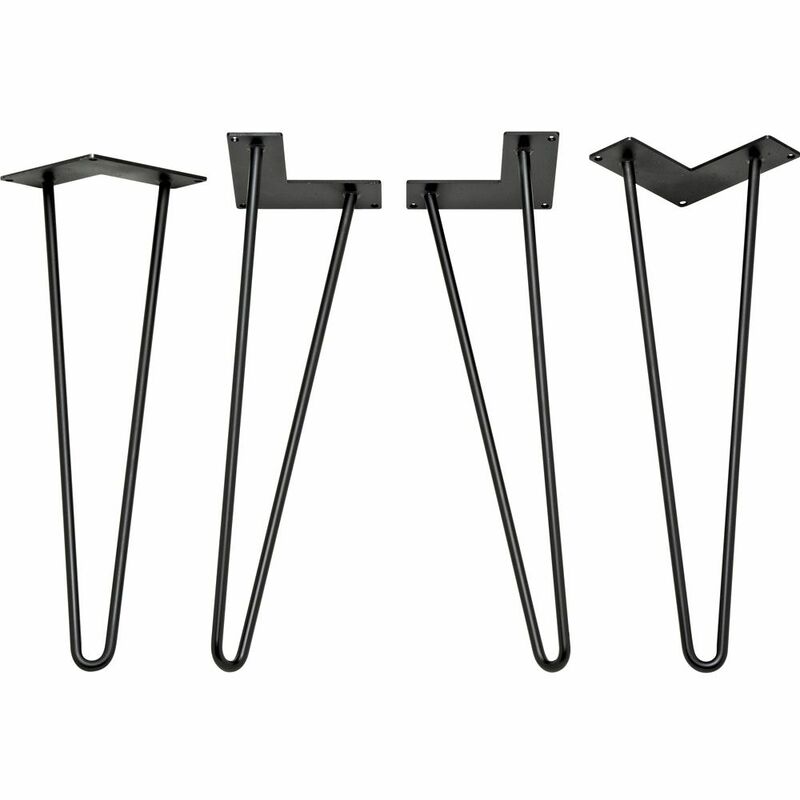 These hair pin leg sets are attached be means of screws or bolts incorporating structural strength from the table top. Typically tempered glass tables are supported by a self supported leg base structure. 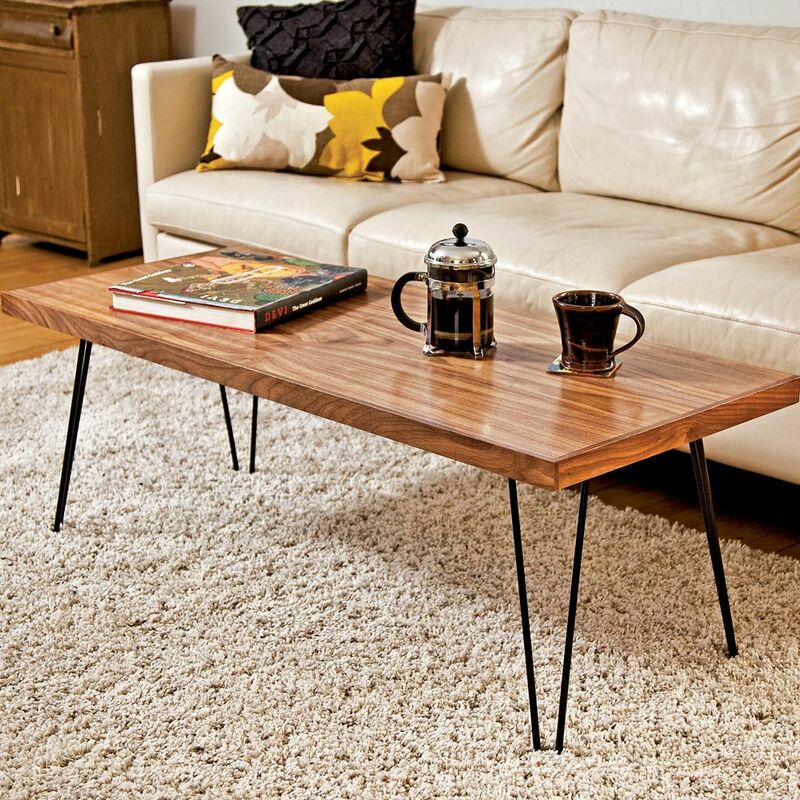 My suggestion is that you look for a table base instead of legs for a glass coffee table. Yeah, unless you attach the legs to something, they're not going to stay upright, but will fall over. If you're dead set on this, idea, you could get some clear Epoxy and use that to adhere the legs to the glass. If you do a neat job of applying it, you probably won't even be able to tell. I don't think they will work unless there is something the screw them into. Maybe you could build some kind of frame that would look good under the table and attach it to that. Good luck. Do not think that would work very well. They are meant to be attached with them weight of these glass it could be potentially dangerous. What is the center to center distance for the mounting holes? BEST ANSWER: I'm not sure what you mean by center to center. 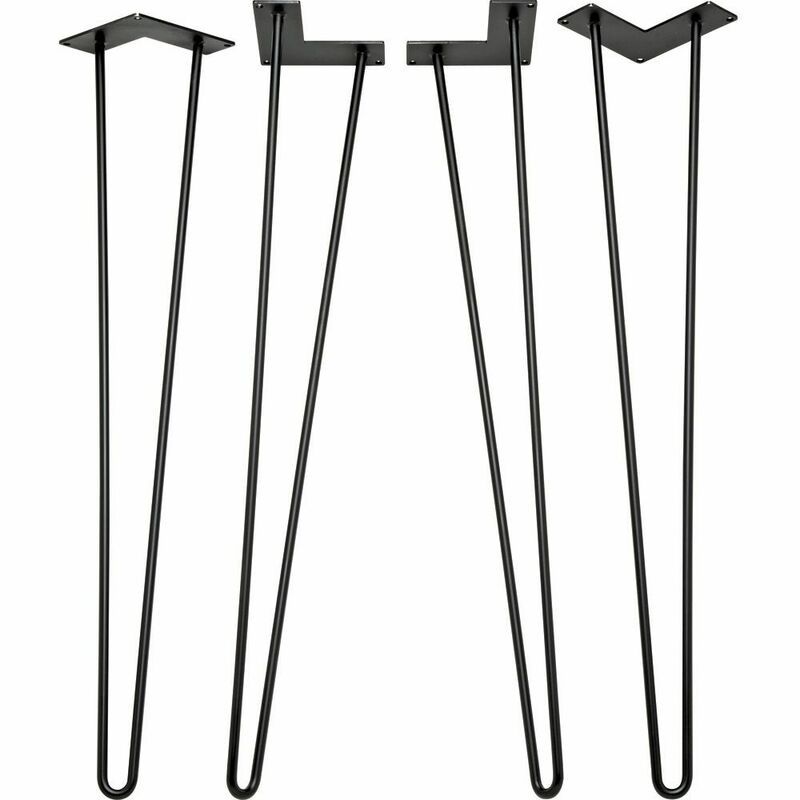 The attachment frame for each leg is 90 degree flat iron plate with three screws. One in the corner and one on each end. Each side is 4 inches long. Screws are set at just over 3.5". The widest part of the plate.... the open end of the angle, is 6.5 inches wide. Can I order 2 legs? BEST ANSWER: No, the legs are sold in a single package/box that contains four legs. Can you buy just one? BEST ANSWER: No, they come as a set of 4. How much weight can the 28 inch legs hold? BEST ANSWER: I bought the long legs for a desk made with eucalyptus and medium legs for end tables for eucalyptus as well. Dense wood. I can safely stand on all three and probably take way more weight. I am over 200 lbs. the only concern with break would be coming in from the side and the legs pulling out the screws before the legs would break. 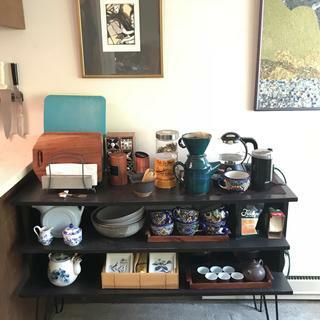 Has anyone ever added a lower shelf or a drawer type level below the table top? BEST ANSWER: I have not, but should be easy to do and no impact on stability. I have not and don't know anyone who has. Where are these legs made? 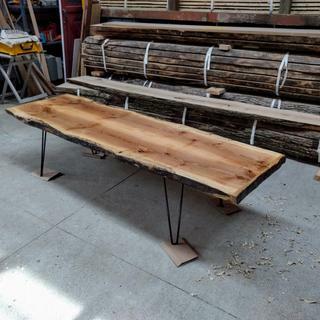 i have a wood slab .i am making a dining table. size 4 ft by 6 ft by 3 inches . can a hairpin legs carry this? BEST ANSWER: I would ask the company for a max load spec - your slab is pretty massive. Can these be used on outdoor furniture ? BEST ANSWER: Don't see why not...they are powder coated and as along as the paint does not get chipped off, they should last awhile. I'm building a three legged step stool from a walnut round slab. I saw some other questions and comments about the weight limits for these legs. Since this will be a step stool it will need to support some weight. Do you have another product I can compare to with short legs for a step stool? 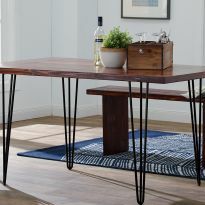 Will the 28 in legs support a dining table? How large are the mounting brackets for the 16"? BEST ANSWER: •Mounting plate measures 4-3/4" x 4-3/4". what is the radius of the bend at the middle of the leg?